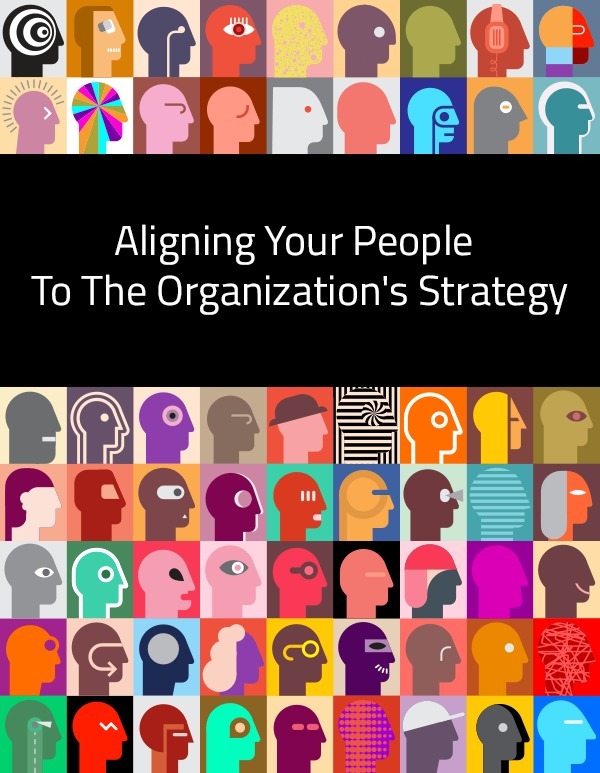 In this recorded webinar you'll learn how to leverage behavioral competencies to align your people to the organization's strategy. ​Doing so will streamline your organizational development plan, help identify high potential leaders, and increase employee engagement. In today’s world of changing talent management, employers must be actively engaged and committed to developing talent that will successfully lead their companies into the future. But it’s impossible to create effective employee development programs without first having accurate employee performance and leadership insight. The reality is that 360 surveys are a time-consuming process. And time isn’t something that most business leaders and managers have oodles of. The big turnoff for business leaders and managers is that they are asked to provide feedback for multiple 360 surveys, which is a primary reason many companies haven’t implemented them across the board. Organizations are becoming more aware of the critical need to assess and evaluate team performance. As a result, they need to adopt and integrate team performance solutions to augment deficiencies in employee performance reviews. Gartner predicts that over the next 10 years, teamwork and collaboration (rather than individual performance) will be valued, rewarded and practiced more frequently. Also, with Internet technology enabling even greater collaboration among globally integrated workforces, many employees already work or participate as virtual teams. Teams rather than individuals are executing more work and creating a greater share of business value. Trends and Key Findings: The importance of developing high-performing teams is clear to business leaders who seek enduring organizational success. 360˚ Survey is a questionnaire-based process where an employee rates themselves and has others (e.g., supervisor, peers, and direct reports) who interact with them on a regular basis rate them on behaviors related to performance. The feedback provides an employee with a comprehensive view of how their performance self-rating compares to how others rated them. ​When should I use 360˚ Feedback? What are some of the benefits of using 360˚ Feedback? ​Who should respond to my 360˚ Survey? ​How many respondents do I need to conduct a 360˚ Survey? Include most if not all of your direct reports, your supervisor, and some of your peers as a general guideline. Try to limit the overall number to 20 if possible. When possible, have at least 3 people in each category (e.g., peers, direct reports, customers) – if there are fewer than 3 in a category, the report will not show the scores – reducing the value of the feedback. ​Who should select the respondents? ​The participant is best suited to select their own respondents. Sometimes it is useful for the participant to ask their supervisor for recommendations to get a good list of respondents that will be representative and ensures balanced, honest feedback. ​Who gets a copy of the feedback report/results? ​A 360˚ survey is intended to be a developmental activity. Therefore, the only person who must receive the report is the participant. The participant, in most cases, would do well to send the report to his/her supervisor. This can help ensure continuity of developmental efforts between the participant and the supervisor. In most cases the administrator or HR employee will obtain reports and then provide the reports to the participants during a feedback session. ​What is the ‘best practice’ for sharing results? ​In order to be an effective developmental tool, best practice recommends sharing your results with your direct supervisor. Doing so provides specificity to developmental efforts and opens dialogue that can help better align your efforts with support from your direct supervisor. ​How often should an employee receive 360˚ feedback? ​A 360 survey is best completed once every 12 months. However, “booster” 360s, which are focused on the areas where the most development is needed, can be conducted once every three months or so to monitor development progress. A “booster” 360 simply asks respondents to answer a subset of competency items related to areas on which they are focusing development. ​How is respondent anonymity or confidentiality protected? Names are not associated with any of the comments or ratings (with the exception of ‘manager’ being noted on responses – consistent with the philosophy that there should be transparency between a manager and their report). Responses from individuals are never presented, only the average for all respondents in a category (i.e. direct reports). ​If there are less than 3 responses in any category (e.g., direct reports) the system will not show the ratings/scores – but will include those responses in the overall average (the exception to this are ratings from the Manager or Supervisor). Open ended responses are randomized to enhance anonymity. ​How many 360˚ surveys should be completed by a respondent at one time? ​The ThinkWise 360˚ Survey was built to make completing 360s efficient by allowing the respondent to rate multiple people simultaneously. This Batch-Rating technology eliminates the need to launch a new 360 for each participant. Batch-Rating improves efficiency, reduces ‘rater fatigue’, and improves response (rating) distribution. Of course, there should be some sensitivity to how many people a single individual is asked to rate at one time (a maximum of 10 is a good guideline). ​How many competencies and related questions (items) should be on a 360˚ survey? ​In general, when designing a 360, the competencies you select should be tightly linked to your business strategy and those behaviors deemed critical to drive that business strategy (contact ThinkWise regarding Competency Modeling tools, our High Performance Blueprint Analysis, and related services). In general, competencies should be limited to 10 (ideally 5-7 allows for better developmental focus) and the total number of items should be limited to less than a 100 (with 75 being a more reasonable number). For open-ended questions there is no system limit – however, we recommend that you limit the number of open ended questions to 5 (2 or 3 is most common). The ThinkWise 360˚ Survey includes the use of the ThinkWise competencies (our library contains behavioral items at three levels – Executive, Manager, and Individual Contributor) or the input of custom competencies and items that your organization may have already developed. The Competency Modeler makes it simple for you to select the competencies that are essential to your business – which then become the ‘blueprints’ for hiring, managing, and developing your people. You'll get started with two group exercises. They're designed help you understand the why and how of selecting the competencies aligned to your organizational vision and strategy. Identify key issues in specific, behavioral terms. Uncover drivers of the behaviors that contribute to problems. Redefine new behaviors and align them with the new culture/vision.